As the retail shifted to a more digitalized medium, the need for advertising become all the more prominent. Bands now had to try and partake in newer avenues that could help them improve their reach and efficiency. Digital mediums also started to make the competition a lot fiercer. Brands didn't only have to compete with a few stores within their geographical territory. Because of the ease at which people can shop online, brands were now starting to face competition with competitors from around the world, all of who were operating along a similar goal. Because of this impact, advertising that these brands undertook was something that had to undergo massive changes and was something that needed to be tailored to fit the new requirements. One of the first reasons why advertising is incredibly beneficial for a brand is because of the impact that it can have on this kind of business. Brands are no longer limited to offering products to a small audience, and can now have customers opting to go in for their products from around the world. Just having one website through which products can be sold is enough to sell products to wider masses. Even though the scope tends to be incredible, people all over still need to be informed about the brand so that they can get interested in it. By advertising to the right masses, people from all over will be interested to visit your site, regardless of the place that it has been set up in. Just offering customers with information about a brand is not enough to peak interest in its products. Customers need to be interested in the products offered and need to feel like these provide some amount of worth to then over the ones that are currently on the market. Even if there are no other alternatives for a particular product, a brand needs to advertise in a manner that connects with the audience and makes them want what the brand is trying to sell. 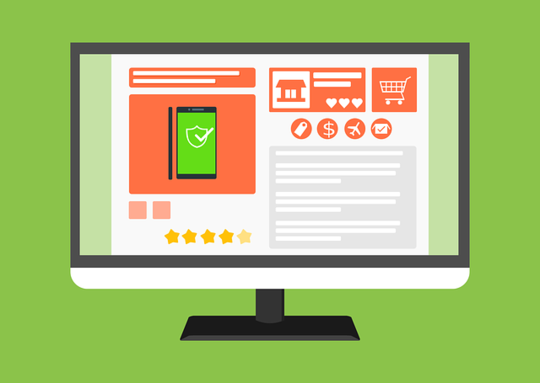 If a customer sees an ad about a product that is completely original, but which can help them with a problem they are having, it can encourage them to log onto the brand's site and buy it. Customers are often wary about the kind of brands and sites that they buy from online. Because they have to normally input some of their sensitive information, they like to make sure that the site is one which people tend to trust. This trust can be built up in a cyclic manner through advertising. When a site advertises for a product, customers tend to go over and check it out, hopefully, to buy something for themselves. When they do buy a product, they generally either tell their friends and family about the experience or write a review about it. This, in turn, helps convert those who were unsure of whether or not the site was safe to use, and can work to bring more audiences to the brand. Even though advertising is most beneficial for a brand to grow, there are certain things that brands must pay attention to ensure maximum efficiency. Things always need to be checked and cross-checked before any kind of marketing or advertising strategy, and paying heed to these can ensure a larger chance of success for the e-commerce business. The customers are the ones that will determine the success of your business, and understanding their needs is one of the best ways to ensure that you get the very best out of your advertising strategies. Conducting a good assessment of your target market and the interests of these customers is a great way to understand what they would potentially want from your brand or products. One of the biggest mistakes that e-commerce brands tend to make is not testing out every small detail of the business. Be it the workings of the site, the products offered, and even the ad-campaigns, it is essential to test out everything before it goes live to avoid disappointment from customers of the brand. Social media is one of the most powerful tools that e-commerce sites can make use of when trying to reach their potential audiences. Through social media and social influencers, brands can connect their audiences and even expand their reach. It is a more hands-on approach to marketing a product and is something that has proven to be incredibly effective. The job of advertising a product isn't over when the ad has aired. Brands have to constantly keep checking up on the effectiveness of these advertising strategies to figure out whether or not they are working well for their overall image. Constant analysis can also help e-commerce brands recognize the errors in the marketing plans so that they can make changes to improve the same. Growing with the changing market trends is essential for an e-commerce brand, especially in this digital age. Hopping onto the latest trends in the industry and any new mediums of advertising that come along are always advised since it helps the brand continue to grow. Consumer trends may also change with time, which is why a brand must always stay atop to ensure that they reach their maximum potential and reach the customers that would be interested in all that they have to offer. This guest article was written by Caryl Anne Crowne, a contributing writer and media specialist for Allegra Network.